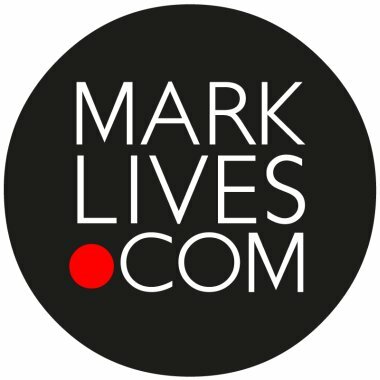 by MarkLives (@marklives) The marketing and advertising industries are transforming. So why are so many black professionals disgruntled with the rate of progress? And is the quality of most of the work specifically directed at a black audiences still sub-par? We emailed a panel of key industry executives for their take. This week it’s the turn of Grant Sithole of Bakone Media & Advertising. 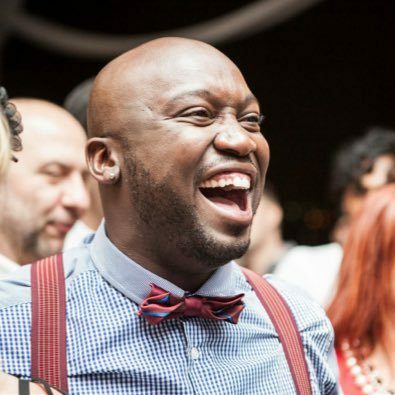 Grant Sithole (@blaxem) spent 12 years at FCB Africa, rising from intern to creative director, and a year at Ogilvy & Mather South Africa before taking on the creative partner role at Bakone Media & Advertising. He has worked on some of South Africa’s iconic brands, including Coca-Cola, Vodacom, Toyota, Old Mutual, FNB, Tiger Brands, DStv and Standard Bank. Isn’t it strange that we’re asking this question when the proverbial workhorses have bolted? That we have had to wait to the point where senior black creatives are “disgruntled” to the point of leaving the big shops? Because, let’s be honest, black creative are not necessarily leaving the advertising industry completely. Save for the few who have had irreparable damage visited upon them by the frustration (and I do happen to know a few), experienced black creative talent has simply just gone onto the world of freelance or ‘started their own thing’. I’ve decided not to spend too much time on “why” black creatives are disgruntled with the pace of transformation or the way black people are still being represented in TV ads. Frankly, I think that, if we still have to delve into that, then our problems are bigger than we think. If I have to still talk about taking our insights/ideas/scripts through a panel of people who are too scared to say “you probably know more about this than I do” and instead put their prints all over the work just ’cause they are the CD/ECD? Then our problems are waaaaaaay bigger than what we think. Oh, and someone knowing what “7 Colours” means is not a pass of any kind. So I’m happy to report that we have stopped being disgruntled. The word “disgruntled” is covered in connotations of whiny, spoilt brats who are not getting their way and should just wait until the parent says it’s ok. So we stopped being disgruntled a while back. Around about the time when we realised that our plight is also somehow exactly like living in someone’s house and asking them to change the asbestos roof as it’s killing you and your kids, when you could either move out and find a less-hazardous place to raise your family or build your own house. This putrid metaphor is even more ironic when you realise that this person doesn’t realise that the asbestos is not doing him/her any favours either, but they are happy to sit in it because that’s just how houses were built back then. So, no, we are not disgruntled anymore. We are out creating the kind of work and working environments that we have been asking the industry to do for some time now. And I’m very pleased to see that some historically rigid players are slowly seeing the… uhm.. .light. I smile to myself about the parts of the industry that had the opportunity to ‘unKodak’ themselves and realise that the world around them has been changing (because every black creative and even the beloved institutions of research have been telling them so) because now they are having to collaborate with the creatives they thought were being unreasonable or crazy. These people were in-house but the failure to realise the importance of their vision for you and your agency to actually see beyond us dancing for everything from debit cards to margarine and funeral plans has led us to this place. But let’s also not be shortsighted enough to think that people freelancing and starting small shops is only being done by black creative. This is a global trend that should have all types of agencies worried because no one wants to do things the way you have been anymore. It’s just that, in our case, it is because the change has become urgent on a few fronts and transforming the voice of the industry is chief amongst them. Ya, so we are not disgruntled. We are excited for what we hope is a turning point in a conversation that I think we have to fix now so we can get onto other things. Like paying creatives more. Because we’re not going to be able to raise any more children in those asbestos houses. PS. “We” is used in the African sign of respect. Because you are always surrounded by the spirits of those who came before you.